Deleting important files by accident can be a big problem, but in some cases there might be a way to restore those files. Even if you delete a file, it’s not completely removed from your hard drive, so there’s a chance that you can restore it. 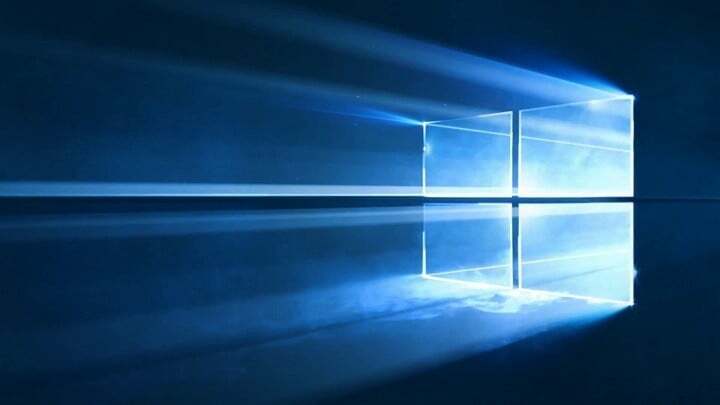 Restoring deleted files isn’t an easy task, and today we’ll show you how to restore accidentally deleted files on Windows 10. Is there a way to restore accidentally deleted files on Windows 10? Before we start we have to mention that many SSD drives use a TRIM feature that will permanently remove your files and greatly reduce the chance for file recovery with third-party tools. On the other hand, magnetic hard drives don’t have this feature, so you can restore your files if they were deleted recently. Now that you know the difference between SSDs and magnetic hard drives you can try to restore your files by using one of our solutions. 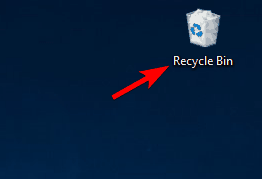 One of the simplest ways to restore your files is to check your Recycle Bin. In most cases your files will be moved to the Recycle Bin once you click the Delete button, so there’s a chance to restore them. When Recycle Bin opens, you’ll see a list of all deleted files. If your file is available, right click it and choose Restore. Keep in mind that Windows has a limited amount of storage dedicated to Recycle Bin, so it won’t keep your files permanently there. Sometimes your deleted files can be in Recycle Bin for weeks or months before they are deleted, so it’s always a good idea to try to restore them from it. When Control Panel opens, select Backup and Restore (Windows 7). Select Restore my files option and follow the instructions on the screen. Once again, you can only restore files if Backup and Restore was enabled when you deleted the file. If you don’t use this feature at all, this solution doesn’t apply to you so you can just skip it. Locate the directory that contained the deleted file. 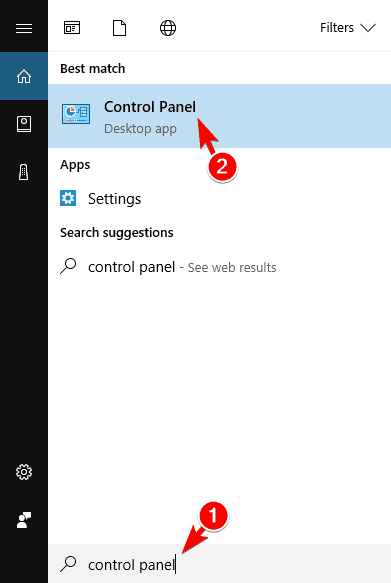 Right click the directory and choose Restore previous versions from the menu. List of previous versions should appear. Locate the desired version and double click it. Now locate the desired file and drag and drop it to a new location. This is an easy way to restore deleted files, but since this feature is related to System Restore and Backup and Restore, this method might not always work. Windows 10 comes with OneDrive service enabled by default, so it’s possible that your file was backed up to OneDrive before you deleted it. Be sure to visit OneDrive’s website and check if your file is available in the Trash section. If you use any other cloud storage service, be sure to repeat the same steps for it as well. This isn’t the most reliable method to restore files, but it’s worth checking out. Open the directory that contained the deleted file. Once the directory opens, click on Home tab and choose History from the menu. Follow the instructions on the screen to restore the file using File History feature. If you’re using a regular hard drive and not an SSD, you might be able to restore your files using Ubuntu Live CD. There’s a chance your file isn’t physically deleted from the hard drive, and you might be able to restore it if you don’t overwrite its sector on the hard drive. To ensure that, turn off your PC and don’t install or download any additional software. Now you need another PC to download Ubuntu Live CD or USB. After doing that, connect the Ubuntu Live USB to your PC and boot it from it. Look for ntfsundelete and photorec tools. These are powerful tools that can help you restore deleted files. We have to warn you that this is an advanced solution, so if you’re not familiar with Ubuntu Live USB and command line tools, you might want to skip this solution. If you’re looking for a third-party solution to recover your files, you might want to consider Recuva. This is a free tool that can recover deleted files and files from damaged disks alike. Recuva is a simple tool, however it’s not a professional recovery tool, so it might not be able to restore your files. Many users are recommending to download the portable version of Recuva and run it from USB flash drive in order to make sure that your deleted files aren’t overwritten. There are many other tools that can help you restore accidentally deleted files. Some of these tools offer a free trial, while others are completely free. We also have to mention that some tools might be more effective than others, so you might want to try using two or more tools to restore your files. We already wrote about the top 10 file recovery apps for Windows so feel free to try any of them. To increase the chance of file recovery, be sure to download these tools on a different PC and install them to the USB flash drive. Not all applications can work from a USB flash drive, so be sure to choose ones that support portable instillation. Recovering accidentally deleted files isn’t as hard as you think, and you might be able to do it by using one of our solutions. To reduce the chance for file loss in the future, be sure to use File History or Backup and Restore features and back up your files frequently.